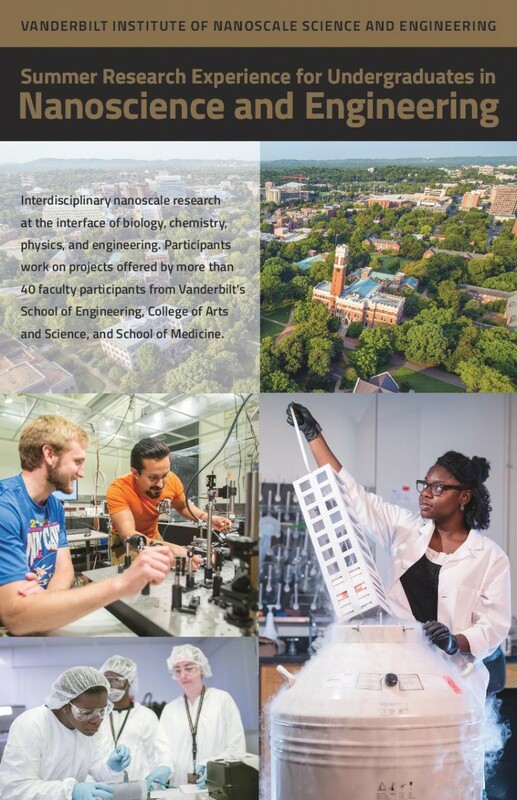 Applications for the summer 2019 are now being accepted for NSF REU program in Nanoscience and Nanoengineering at Vanderbilt University. 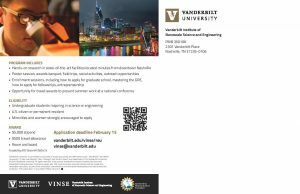 The application deadline is February 15th The Vanderbilt Institute for Nanoscale Science and Engineering (VINSE) focuses on interdisciplinary nanoscale research at the interface of chemistry, physics, biology and engineering. More than 40 faculty participants from the School of Engineering, College of Arts and Science, and the School of Medicine inspire students by creating an atmosphere of excitement and creativity. Each REU participant will work directly with VINSE faculty members and their research groups and be part of the larger VINSE community. Please visit: https://www.vanderbilt.edu/vinse/reu/ for more information or to apply. This entry was posted in Job Opportunities, Perkins Announcements on January 8, 2019 by Lamia Mahreen.